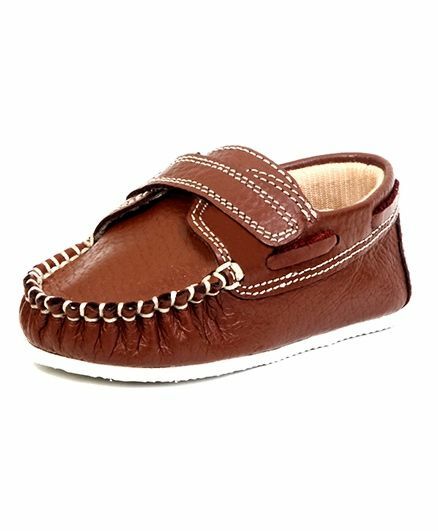 Have the tan pair of infant boys shoes added to the collection of your little prince. The party shoes are easy to wear and richest leather pramm shoes with wide opening, easy to wear, maximum comfort and breathable skin fit lining material. Styling Tip: Team up this shoes with party wear suit.